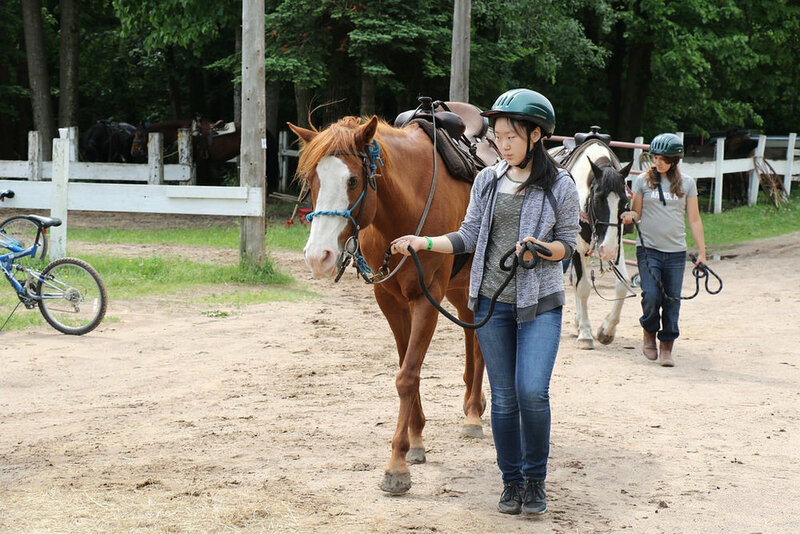 Riding Adventure Camp is for girls who have completed 6th-8th grades and will teach campers the entry level skills and knowledge of horsemanship. 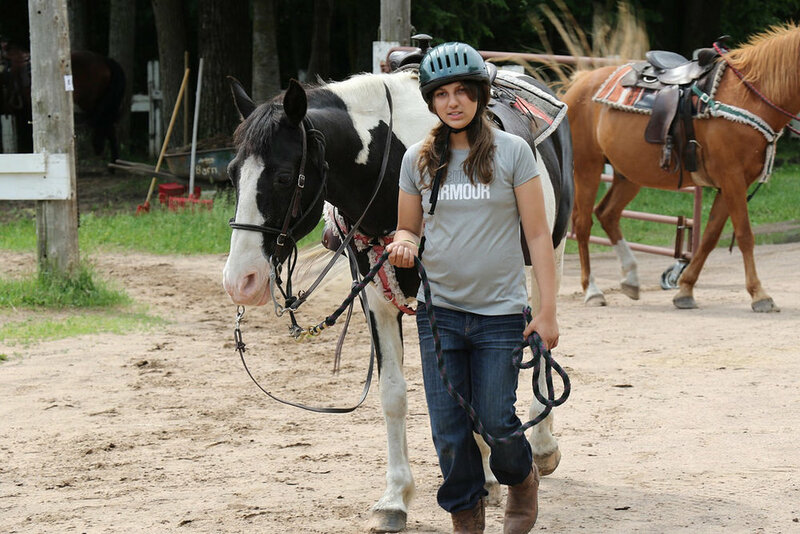 Riding Adventure campers stay together in a cabin and each session is limited to a maximum of eight campers. 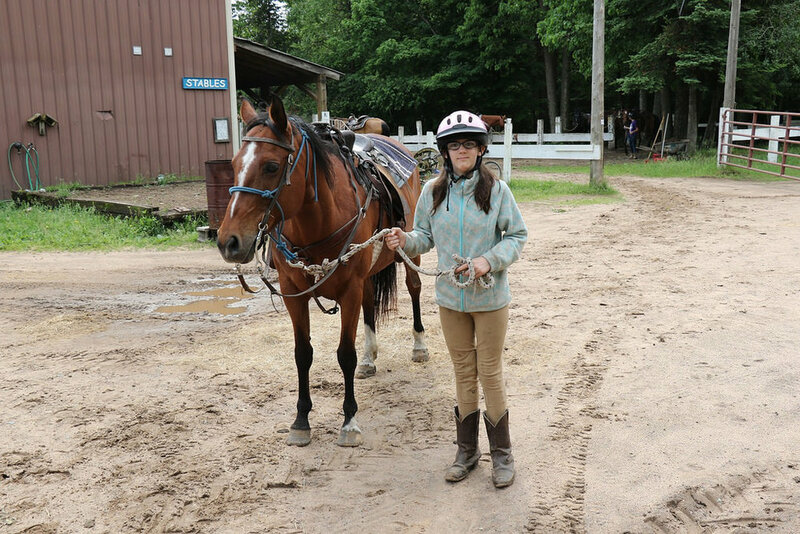 Each morning is devoted to learning about and riding horses, both in the classroom and through hands-on learning. 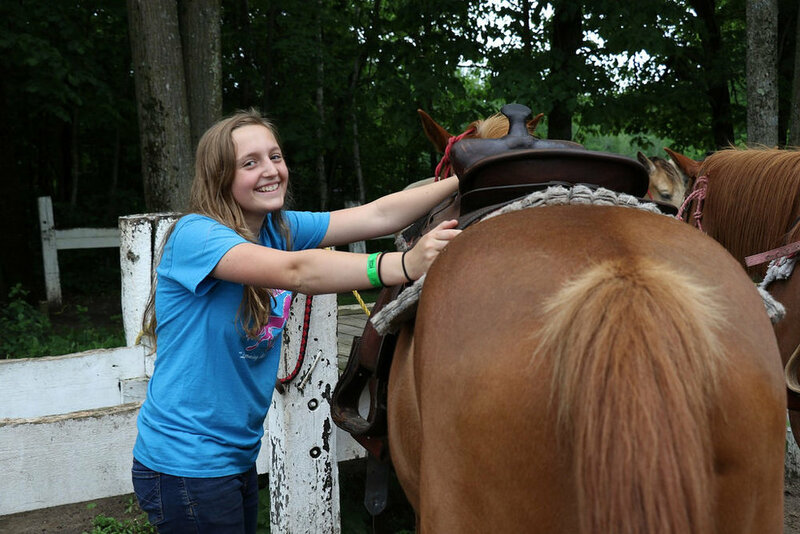 Riding Adventure campers will have a Bible Time together in the afternoon, and then are merged with the larger camp session in progress for afternoon free time activities and evening activities including the evening Chapel session. All campers should come equipped with a couple of pairs of denim jeans (that can get dirty) along with a riding boot or closed toed shoe/boot with a heel.